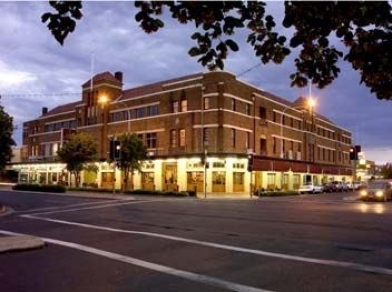 The Hotel Canobolas is one of the Central Wests most iconic hotels and is rather a local institution in Orange. It offers guests a series of different spaces for celebrating, socialising, drinking and dining. Pull up a chair in the superbly renovated bistro and enjoy a menu packed with a stellar range of sublimely cooked steaks along with contemporary pub favourites. Offering a true steakhouse experience with an in-house butcher featuring some of the best and most interesting cuts of meat around. Some will agree it’s all about the quality of the fresh produce, others say the best pizzas are made from bases rested overnight and then there are those who believe the best pizza must come from the very best of woodfire ovens. This family friendly eatery packs out every weekend with locals and visitors queuing up for seriously good woodfire pizza. A handful of classic pizzas as well as modern gourmet made with the traditional less-is-best approach with perfectly crispy bases. Your hosts Paul and Wan take diners on a delicious journey through the flavours of Thailand in the heart on Hotel Canobolas. Delicious shared dishes bursting with flavour that emphasis freshness and presentation; all combine to create a memorable dining experience. We really enjoy this casual Thai – set in the covered garden setting, the atmosphere is relaxed and casual with a great array of quality food to choose from. They even do takeaway for those cosy nights in.